You’re in the right place if you have a great product and a growing customer base, but feel held back from reaching the next step for your business. By evaluating your market niche, challenges, and goals, we will knock down what’s holding you back from reaching your potential. Our work is an investment intended to pay for itself quickly, and we have seen this happen over and over. No one else knows your creative business as well as we do, has the combined team to help with each stage of the project, and puts as much thought into data-based strategy for your individual business. Our area of expertise is with businesses at the tipping point who need a push away from their DIY efforts and over to where they can make much bigger sales. Want to see your products in Anthropologie, Paper Source, the Land of Nod? After working with us, you’ll be ready for whoever knocks on your door. We provide you with strategic website design to engage customers, wholesalers, and press, as well as provide a high-converting, customer-friendly experience. Our attention to detail is superb, and we are rigorous about completing work on time and in budget. Rifle Paper Co., who didn’t have a site. Now they’re an internationally recognized lifestyle brand. Emily McDowell, who started small and now is in the national news and has her own warehouse. Handcrafted HoneyBee, who went from DIY to 11x as many sales with their rebrand. Let’s tell your story and improve your technology. This won’t be like any previous experience with a designer. Get in touch, below, and we’ll help your business reach its potential. Hiring Aeolidia was one of those things we felt needed to happen in order to grow and strengthen our online presence. They made taking the plunge and investing in a relatively intangible thing a lot less scary by holding our hand the entire way. As you grow, you start to realize that utilitarian themes don’t necessarily highlight the strengths of your brand or help you connect with potential customers in a meaningful way. 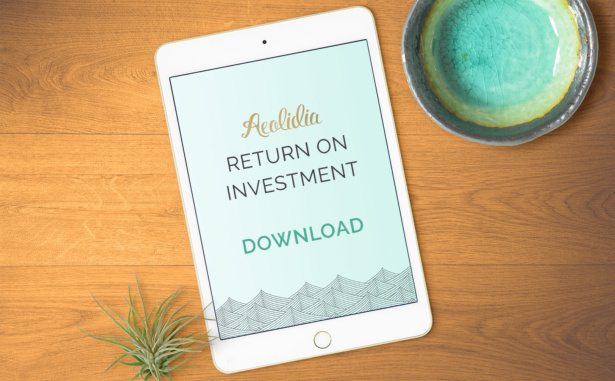 We needed a site designed to let our products shine and decided it was time to give our friends at Aeolidia a call. I looked at several other shopify experts, while their designs were very nice and their fees less, I just didn’t feel EXCITED to hire them. I knew that if I hired a designer I liked (not loved) I would probably outgrow the site in 2yrs or so; and still end up hiring Aeolidia. Essentially wasting time and money. I wanted to hire a design firm I LOVED and that I was confident the investment would be worth it. Aeolidia were professional, worked seamlessly as a team, possessed a great deal of talent. I highly recommend them!